The main problem with normal P2P trackers is that they're public. This means that ISPs and media companies can join the torrent swarm and obtain all of the IP addresses of the connected hosts. You'll know this happens when your service provider mails you a nice, shiny DMCA notice. 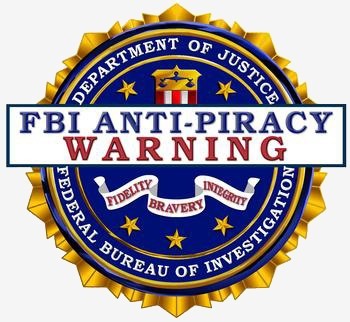 Collect enough of these and the penalty can range from your provider banning you, to the company who owns the rights to whatever you pirated suing you. You definitely don't want to be banned or sued, so we need to be more creative. Thankfully, we have a solution for this problem. We can use the I2P network to share files without the entire world knowing who is sharing them. Again, we have another easy step that keeps you safe on the Internet. You should now see the main I2PSnark screen. Notice how it's already running and ready by starting the I2P router. Your web browser is connecting to localhost, where the I2P service is bound via port 7657. Or simply move data you wish to seed to the same directory. Here we have a coupon code for cash off a PS3. I want to share this with my mates. So we go back to the I2Psnark page and fill in the path with our file. Under Tracker, you may pick the one you wish to use, or add a new one altogether, depending on who and what you are sharing. I2PSnark creates the new .torrent file and places it in your queue. All you need to do is click the start button in the upper right-hand corner. I2PSnark is not the only way to do this, and it is not the fastest either. However, it is easy, built in, and more than capable of tossing files up quickly. Do you know of any other tools to host torrents on I2P? Can you elaborate on the article? Null Byte would love to see it, and new ideas are always welcome. Leave your questions and concerns in the comments, or visit our forum! I've always hated i2psnark, i use robert as much as i can for i2p torrents. robert supports trackersless torrents where all the torrent metadata and peer data is stored on an anonymous DHT. robert is a superior i2p bittorrent client, if one has time then i suggest looking at robert in addition. Hmm, would be cool if someone wrote an article on that. I am not going to name any names or point any fingers of course. all the data that the user receives or transmits is encrypted. All operations involving the torrent network will take place by using an IP address of a server that is located at the other end of the world. Logging on does not happen on the same servers, so you can be assured of your security and anonymity.